The Jayanagar police are baffled by a robbery which seems to be straight out of the pages of a crime thriller. BENGALURU: The Jayanagar police are baffled by a robbery which seems to be straight out of the pages of a crime thriller. A daring daylight robbery, in which thieves stole ornaments and cash from the premises of a temple in Jayanagar, has left the police stumped as they are unable to pinpoint the entry and exit points that the robbers used. 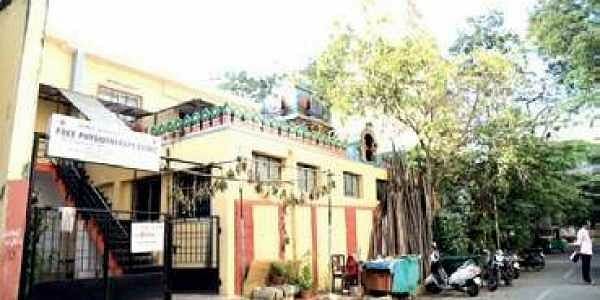 On Monday, the criminals managed to enter the premises of a temple within the Sri Raghavendra Mutt on 13th Main Road in Jayanagar 4th T block. Here, they stole gold and silver ornaments worth around `80 lakh as well as `21,000 cash which was stored in the temple’s administration room. The robbers also took with them the digital video recorder which was storing the feed from CCTV cameras installed on the premises. And they managed to achieve all this even as security personnel and staff were in the temple. In his complaint, Gopinath R (78), treasurer of the temple, said that he left the mutt after locking the main door around 11:45 am and returned around 6 pm to find the administration room broken into, and the wooden and brass trunks, which had the ornaments, lying open. An almirah, which had the cash was found open as well.Interestingly, the key to the almirah was found in the room. However, what has the police puzzled is how the robbers managed to sneak past the entire staff, including three security guards who swore that they were on the upper floors of the mutt between 12:30 pm and 6 pm. According to a senior police official, there was another smaller door besides the main door which was used by seven families which stayed within the mutt. This was also locked at 12:30 pm and had not been forced open. Another possible entrance, a rolling window at the top which was accessible from the roof, would mean that the thieves entered the mutt from the 3rd floor, went to the ground floor where the administration room is located and then proceeded with the robbery.Police are questioning the staff members to gather clues.